Charitable public service projects are a primary focus of the Middleton Jaycees. 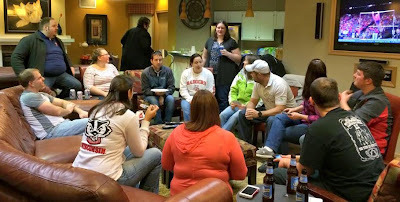 The Middleton Jaycees support several monthly and quarterly on-going projects that benefit children, the homeless, the elderly, and other needy groups in the Middleton area. There are many more projects, all of which offer members leadership development opportunities when they serve as chairs or sub-chairs of the project. ID projects focus on building and enhancing Jaycees members' professional and personal skills so they may become leaders within their community. Examples include leadership training, negotiation skills, public speaking, goal setting, and financial planning. These projects bring the organization together each month in an informal setting to motivate and activate members. Play some volleyball, practice your golf swing, attend a baseball game — and just have fun meeting other Jaycees! These projects raise money for the chapter which provides funding for our community projects. Our annual fundraisers take place during the Middleton Good Neighbor Festival in late August. We run an art and crafts fair and the Steak and chicken stand to raise money for the year so we can fund our other events. Check out the festival at www.goodneighborfestival.com. Junior Nationals 2016. Check out www.juniornationals2016.com for more information! Fun game nights for the members! Halloween Party with fun prizes! with members the monthly meeting!